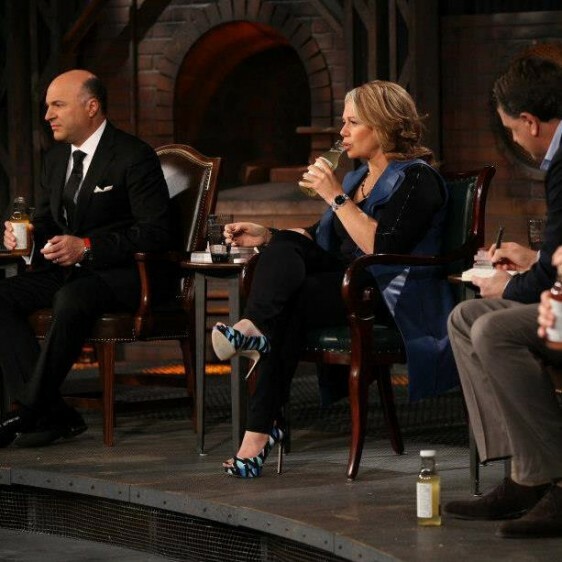 Each week CBC’s Dragon’s Den offers an arena for entrepreneurs to pitch their businesses to no-nonsense venture capitalists in the hopes of securing financing. Last night the Canadian favourite opened with Tonica Kombucha entering the den. Reaching the ultimate milestone for any start-up, the brand received the Dragon’s seal of approval and competing financial offers. Tonica’s lively pitch and impressive sales figures were enough to get the attention of the panel with Arlene Dickinson, Jim Treliving and Kevin O’Leary each offering the $125,000 (in exchange for a one-quarter interest in the business) Tonica was after. An enthusiastic Jim and Kevin showed interest in putting up even more capital if needed, making their joint offer too sweet to pass up. Tonica, the brainchild of Toronto’s Zoey Shamai, began as an at-home operation catering to the local holistic health-minded community. Now in 2012, the brand churns out over 500 cases a week in their downtown Toronto kombrewery. A big part of the company’s rapid growth can be tied to a total rebrand undertaken with Jump’s services in 2010. Zoey came to us with her buzzed about product, at the time marketed as “The Fairy’s Tonic”, looking to increase appeal and tap into mainstream markets and distribution channels. Following Jump’s re-branding, that gave the company a new brand name, logo and product packaging, Tonica witnessed a massive increase in sales with figures in the first quarter of 2012 nearly doubling those of the previous year. The kombucha is currently distributed in some 300 stores across the country including major retailers like Whole Foods and Pusateri’s. Expect an explosion of growth in the coming months following this nation-wide exposure and the addition of two high-profile financial partners. A huge congratulations goes out to Zoey and the entire Tonica team on their amazing success. And if it’s good enough to slay the dragons, its got to be worth a try! With 100% raw digestive enzymes, totally natural all-organic ingredients and only 45 calories per bottle, Tonica is the perfect boost for your metabolism and natural energy levels. For more on how we Jumped on board and re-branded Tonica Kombucha, quench your thirst with our detailed case study of the project and be sure to check out Tonica’s website to find out how you can get your hands on a bottle of their amazing kombucha.